In the confusion following a DWI arrest, clients can forget to ask a very practical question: what happens to my car? As they say, the devil is in the details, and this detail can cost you. It's important to know what your options are and how to activate those options so you can maintain your composure and recoup any financial losses. With that in mind; here's the basic rundown of what happens to your vehicle after a DWI/DUI arrest. Will My Car Get Towed Or Impounded After I'm Arrested for a DWI/DUI? There are a few different scenarios that responding officers can employ to deal with an offender's vehicle after being pulled over and arrested for a DWI/DUI. An officer can drive your vehicle back to the station and attempt to contact a family member to pick the vehicle up. You may be allowed to call a family member or friend while on-scene and arrange to have your vehicle picked up. If your detainment is expected to be brief, the authorities can choose to leave your vehicle where it is on the understanding that you will be back to pick it up later in the day. The vehicle is towed to an impound lot. You are responsible for retrieving it once you are released from custody. Initially, you could almost always arrange to either come back for your car later or have a family member pick it up, but due to liability, departments may have changed their regulations regarding unattended vehicles. It is more likely that the fate of your vehicle lies somewhere between legality and an officer's discretion. What Else Can Happen to My Car After A DWI/DUI Arrest? Vehicle is considered evidence in a legal matter because it resulted in the injury or death of another person or persons. Vehicle is deemed a safety hazard or is totaled beyond drivability. A family member or friend could not be reached to pick the vehicle up. 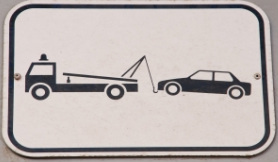 Damage is done to the vehicle when it is left unattended; making towing services necessary. If your car is impounded, you are responsible to pay for telling fees, storage, and the cost of administrative overhead in order to reclaim the vehicle. Some impound yards begin charging additional fees after a minimum duration of storage has passed; others charge fees immediately. The good news is if you are cleared of all charges related to the DWI, the fees you paid to get your car back will be reimbursed by the city. Take this as extra incentive to contact Amarillo DUI/DWI criminal attorney, Jarrett Johnston of Stockard, Johnston, Brown & Netardus, P.C.